“Finding Dory” has already broken one record, and the best opening day for a animated feature is well within its grasp. 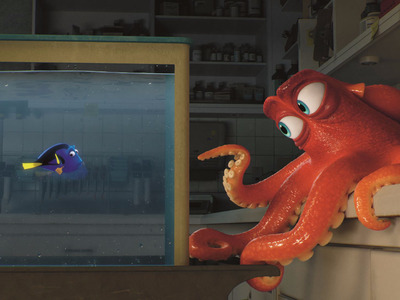 The newest film from Pixar opened June 16th in some theatres, and grossed $9.2 million on its first day. This breaks the previous record of $6.2 million set by “Minions” last summer. The little yellow guys went on to come in second place for the top-grossing opening weekend animated movie, right behind “Shrek The Third”. “At this point, it’s looking like the record is in the bag” Brad Brevet wrote for Box Office Mojo. “Finding Dory” would have to bring in another $112 million to beat Shrek. Critics are mixed on their response to the film. Many rate it well, but say it misses on the magic of the original, including Business Insider’s Jason Guerrasio. “Inside Out” was Pixar’s summer movie of 2015, and it did well bringing in $356 million to date. It probably helps that”Finding Dory” is the widest release ever for Pixar, opening in 4,305 theatres. Not to mention “Finding Nemo,” the movie’s predecessor is one of the best Pixar movies of all time.